Arlington, Virginia has long been a national and local leader of transit-oriented development (TOD). It’s been the jurisdictional equivalent of an iPad when the majority of places were still desktop PCs. Now, many other places are patterning themselves based on the traits Arlington perfected; that is, relatively dense and containing mixed-use, walkable, and bikeable neighborhoods that emphasize transportation choices. Meanwhile, with more localities essentially “doing Arlington,” it is ironic that forces within the county want to retreat from what made Arlington great in the first place. A recent op-ed in the Washington Post by David Alpert made a strong case that, with respect to the Columbia Pike streetcar, Arlington needs to stay the course. The streetcar will maintain Arlington’s competitiveness at a time when it’s all the more crucial to do so. Arlington’s journey as a transportation and city-planning innovator began in the 1970s, with the county’s decision to locate its northern-most Orange Line Metrorail stops underneath Wilson Boulevard instead of the more convenient (and cheaper) location above-ground alongside Interstate 66. This choice, controversial at the time, was instrumental in creating the dense, well-connected “urban villages” that are the hallmark of the county and make it a coveted place to live, work, and play today. More jurisdictions are recognizing the intelligence of Arlington’s decisions, particularly when it comes to transportation options. Fixed rail (or fixed guideway) transit projects are being planned in a number of localities locally. Virginia’s Silver Line Metro expansion, Maryland’s Purple Line, D.C.’s H Street streetcar, and Arlington’s Columbia Pike streetcar are all examples of fixed rail transit projects in our area that promise huge economic payoffs. Nationally as well, fixed rail transit is having a “moment,” with hundreds of regional projects in the pipeline in the United States. Tysons (notice even the more urban-sounding recent name change?) isn’t the only place in the D.C. region playing on Arlington’s home turf. 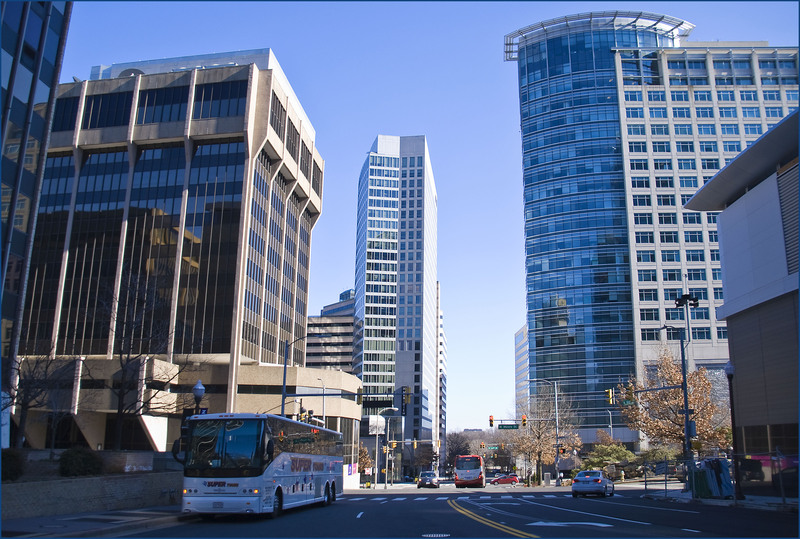 Chris Hamilton, bureau chief of Arlington County’s Commuter Services, listed the following places that are now competing “on the Arlington model:” Bethesda, Silver Spring, White Flint, NOMA, Ballpark District, and Tysons. Livable, well-connected places are “in,” but they have proven again and again to make economic sense as well. The Brookings Institution is among those finding strong correlations between public transit and economic competitiveness. Robert Puentes, senior fellow of Brookings’ Metropolitan Policy Program, has recognized the temptation to “rip the wires out of these transit systems.” Puentes has warned against this, stating, “Some people may think that transit systems are easy targets for budget savings/budget slashing, but … this is the wrong time to be doing that.” With respect to the Columbia Pike streetcar, Puentes’ warning seems particularly salient. The streetcar, while admittedly an expensive public works project in the near term, is projected to pay for itself many times over. Regarding consumers’ increasing appetite for urban forms of development with good transportation options, the rise of Millennials (that generation of twenty-somethings born roughly between 1983 and 2001) will only exacerbate this trend. Millennials have a well-known preference for transit and walkable urban places. Already, this population cohort has made Arlington its de facto ground zero, presumably due to the county’s transportation options, urban lifestyle, and connectedness. The people clamoring to both build and live in Arlington are evidence that the county’s model works. Yet transit-oriented development in Arlington is, in some ways, under attack from within. This internal debate comes at a time when everyone from Tysons to Bethesda is nipping at Arlington’s heels, much like how Samsung and Google grow increasingly competitive against Apple. While imitation is the sincerest form of flattery, it also makes innovation and forward momentum that much more essential. Arlington has first-mover advantage, but with more of the D.C. region competing by the rules Arlington literally developed, it’s important that Arlington continues to compete. While Arlington’s current generation “product” is excellent, there’s no guarantee that will continue to be the case without constant evolution and some risk taking. Just ask Apple. Splash photo by Metal Chris on Flickr. Story photo by Ron Cogswell on Flickr.